This past Sunday, I had a bit of time to spare before heading out with the family. While browsing around online, I came across an urban exploration video of the now demolished Six Flags Mall in Arlington. Seeing that, it suddenly made me think of a place that is full of memories that I could go visit: Valley View Mall, located less than 5 miles from the house. The huge sign overlooking Highway 635 with an almost faded reminder of Sears. 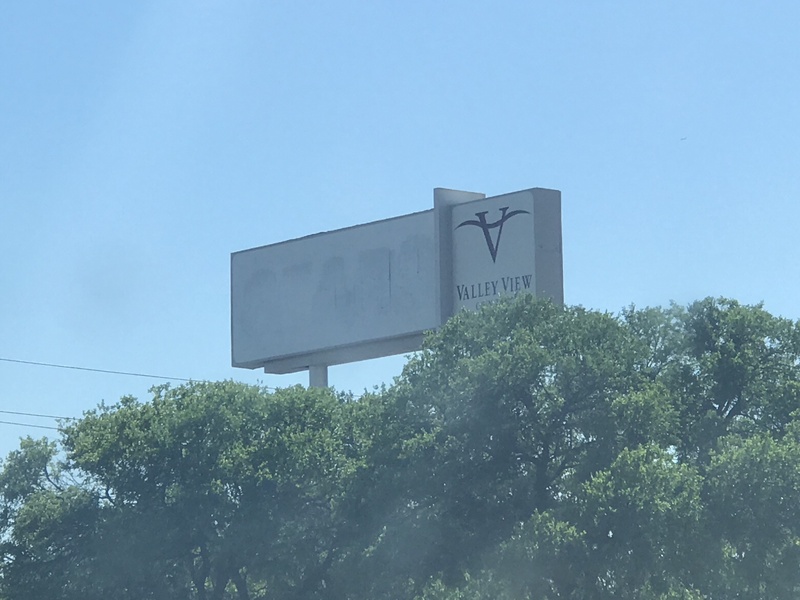 Opening in the summer of 1973 and located right off Highway 635, Valley View Mall was poised for success from the start. It had pretty much all the stores an average shopper would visit, not to mention a super accessible location. Business was very good until the mid-2000s, when the concept of the mall started to fade out. 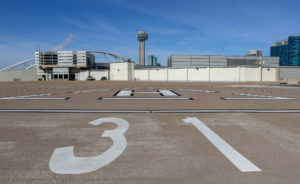 Valley View was one of the first victims of this trend, with Galleria Dallas located right down the road and upscale NorthPark Center less than 7 miles away. Stores started to gradually close, until in 2012 the mall was sold to a development group. Their plan was (and still is) to demolish the mall and put a luxury shopping and apartment development in its place, called Dallas Midtown. 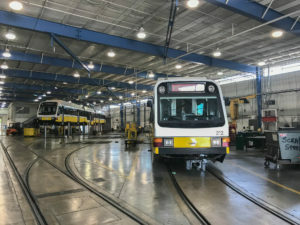 The demolition finally started last year, but as of now has been put on hold while the developer settles some legal issues with the City of Dallas. Worked out well I guess, since it gave me a chance to see the mall for what could perhaps be the last time! When I drove in, I saw the first victim of the demolition. 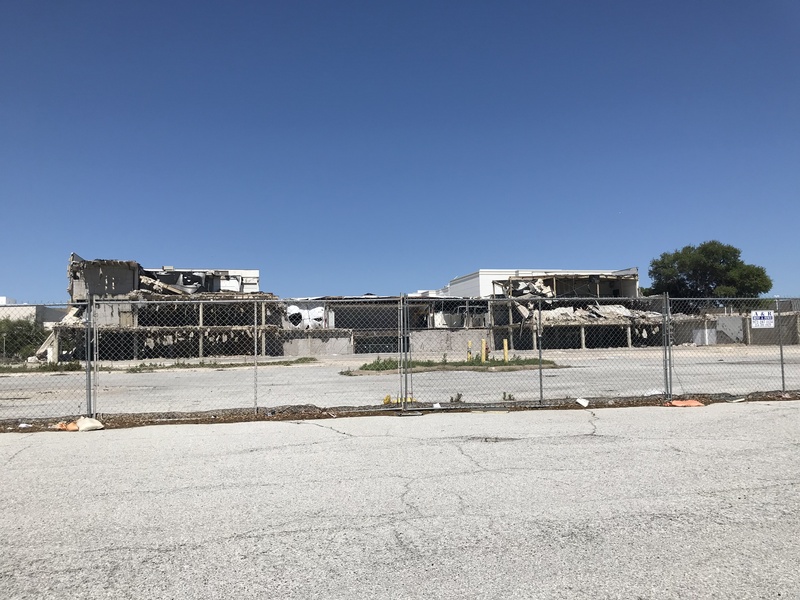 The Macy’s store (formerly Foley’s) had already been mostly razed. I still remember visiting here as an elementary school aged child, with my mother buying clothes there and me tagging along during the summer. I even bought my fifth grade graduation outfit here. The store closed in 2007, and has been vacant since. The Macy’s is just about gone. Driving around to the other side of the mall, I saw the last department store to close. 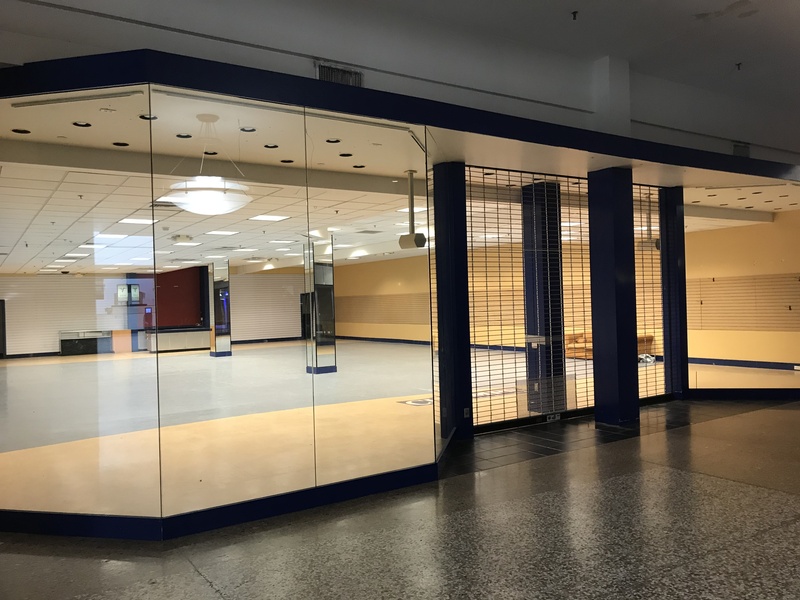 Sears, having been in business even before the mall opened, finally shut its doors in June of last year. It had three stories and was where I completed driver’s education. In the times I’ve been in there, business has never been super good, but it was a pretty reliable place to go if you needed some tools or wanted to buy a new refrigerator. 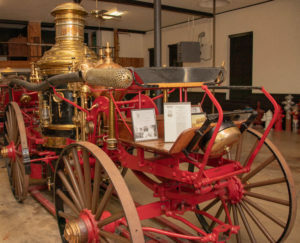 In its parking lot was one of those traveling amusement parks, with different rides and games. Those parks have been in and out of the mall for many years now. Guess it’s a way to try and boost business. I parked my car by the entrance next to the former Sears store and walked in. The only part of the mall still open is the Sears wing and one of the hallways next to it. Even the Chinese restaurant(originally a Luby’s Cafeteria) that seemed to have been around for ages was all boarded up. Business wasn’t too good for New China Grille, but they held on for well over 10 years. Walking in, I could see that there were still 1-2 shops open. A Taekwondo/dance school had people in there congregating, and there was a snack stand in there. However, the lack of a warm ambiance that the mall once had was very visible. The former Champs Sports store. Once upon a time, people would line up outside here on sneaker release days. 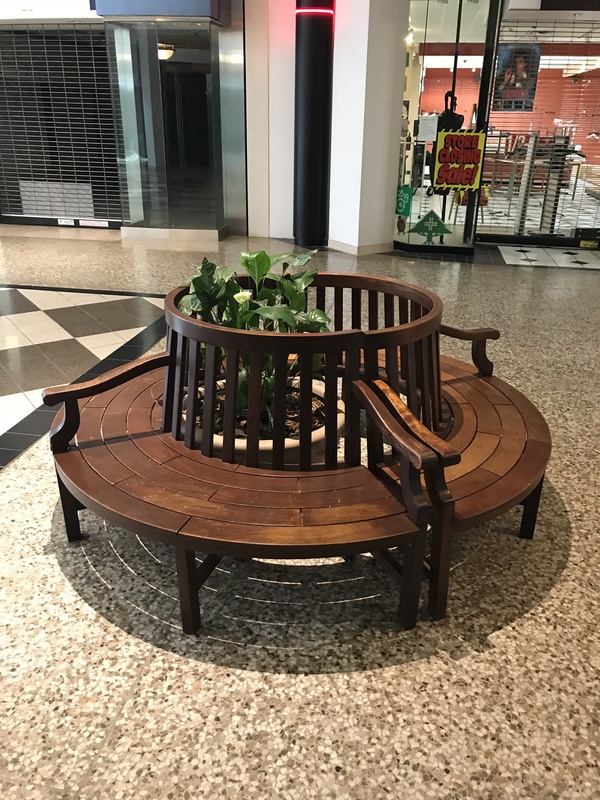 These circular benches have been around since I was a kid. 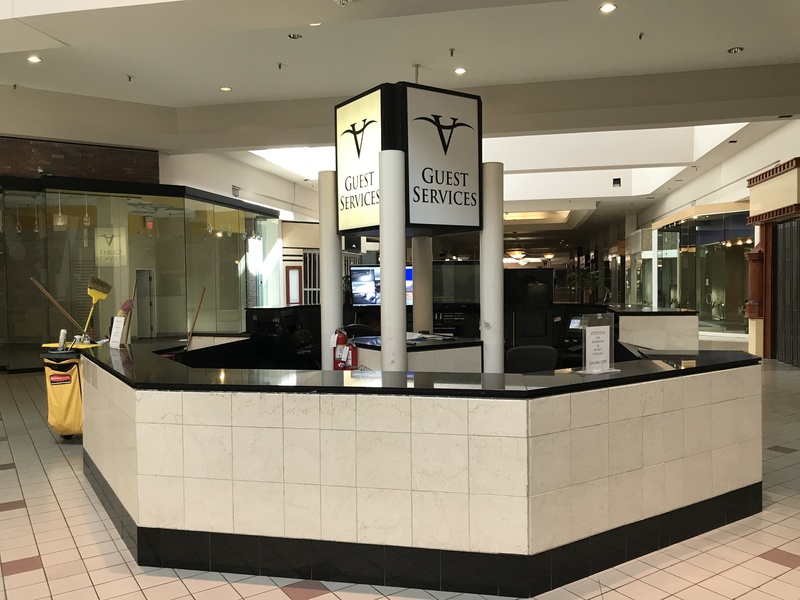 As I came to the center of the mall, the concierge desk was still there, but there were no security officers, or anyone for that matter stationed there. The cameras and monitors were all still on, staring into the mostly empty space. I still remember my mom stopping by here to pick up a copy of Dallas Child way back in the day. 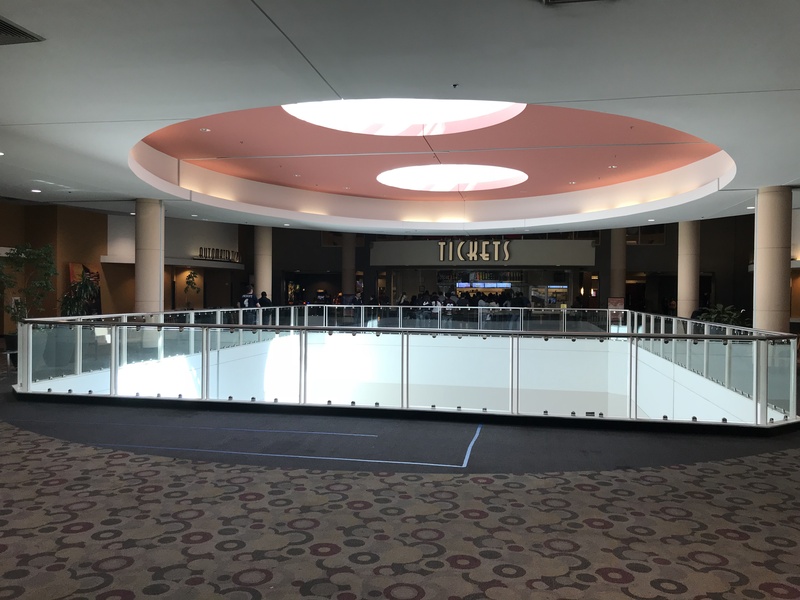 The elevators and escalators to the first floor were all boarded up, and there were only two stores open in the center space. One of them was a Chinese artifacts shop, which has been in the mall for over ten years! The guy working inside said that he did not know when the mall would finally be demolished. A sign outside the store read “closing sale, everything discounted”. The other place sold coasters, pillows, and other handmade artifacts made by a disabled veteran. Much like the Chinese shop, the owner wasn’t certain as to when Valley View would come down. Business was dead at both of these stores, a sad reality to the situation at hand. Came across this broken advertisement board, with the ad rotation mechanism at the top still spinning. The only place where business can really be found is at the AMC Theater. Opened in 2004, this theater has 16 screens and is the only anchor business still operating. When I went up to the third floor where it is located, I could see a steady stream of people coming and going. The only place here where a decent amount of people can still be found. Looking down from there, I got a very good glimpse of the food court on the first floor, and the sealed off shops on the second floor. Up until the second floor was shut off, there was “The Gallery at Midtown”, where local artists would set up their studios in the vacant stores. Many times, they could be seen working on their paintings, while the hallway served as a gallery of sorts. There would be events, auctions, and even art classes held there. 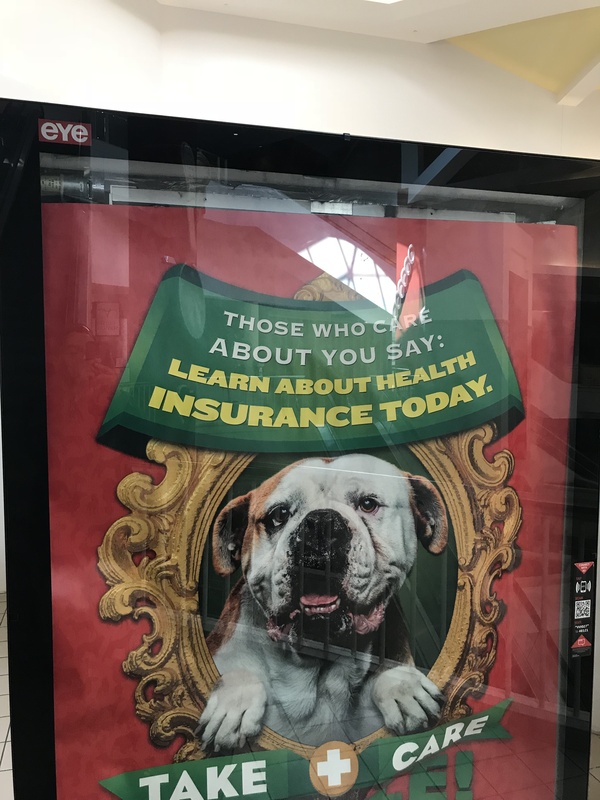 It really provided a boost in foot traffic, even if those folks weren’t spending any money with mall businesses. Even 10 years ago, this place was filled with shoppers! In an abandoned mall like this, you are bound to find some really odd things. One of them was the Chatter Box Cafe, located on the other open hallway leading to the AMC parking lot. 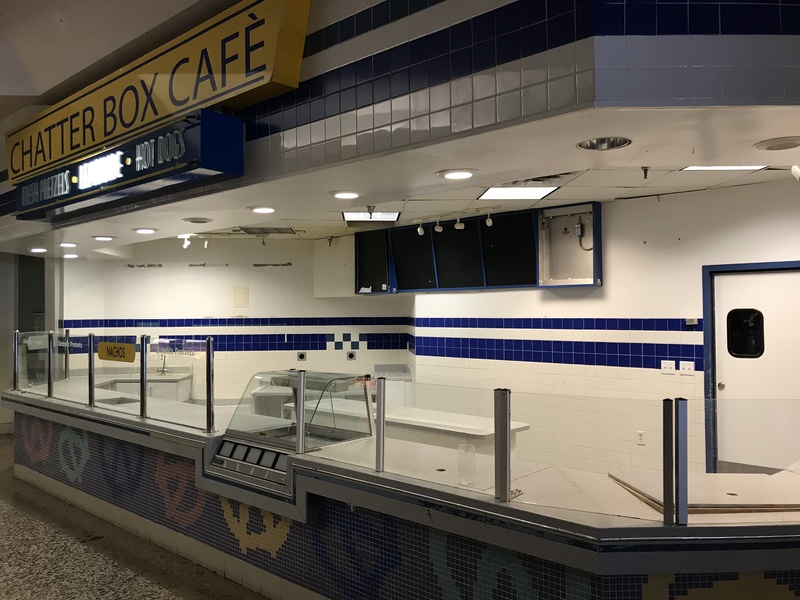 An Auntie Anne’s Pretzels shop way back, I recall that Chatter Box took over as early as 2011 after the storefront sat vacant for a few years. However, there was no sign that it was an actual operating business. The business sign was up, a bit of equipment sat there, and even the lights on, but no commerce was happening. One strange sight. I have never seen Chatter Box Cafe open in my many years of passing by. 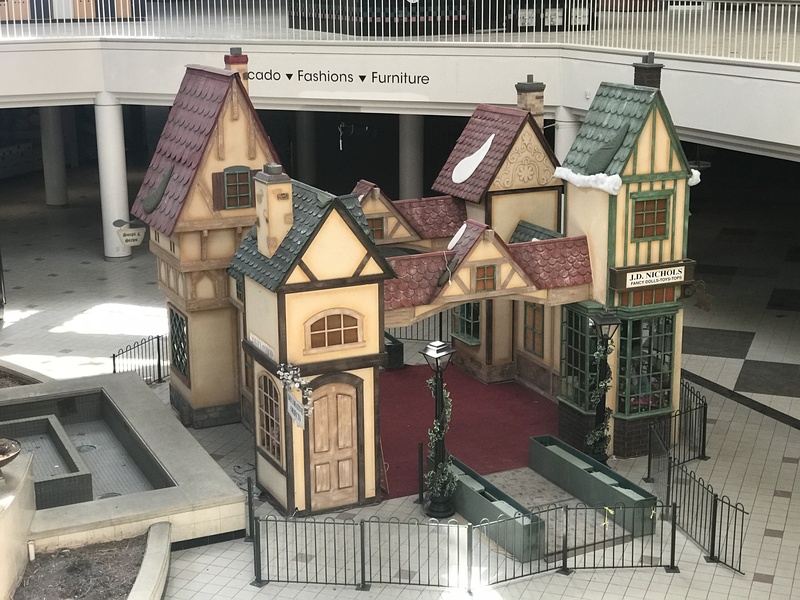 Equally as eerie was the abandoned Santa’s village on the first floor, in front of an empty fountain. It once was a hub of happiness during the Christmas shopping season, where parents would take their kids to have their photo taken with Saint Nick. Now it just sits there, like an unused toy waiting to be discarded. 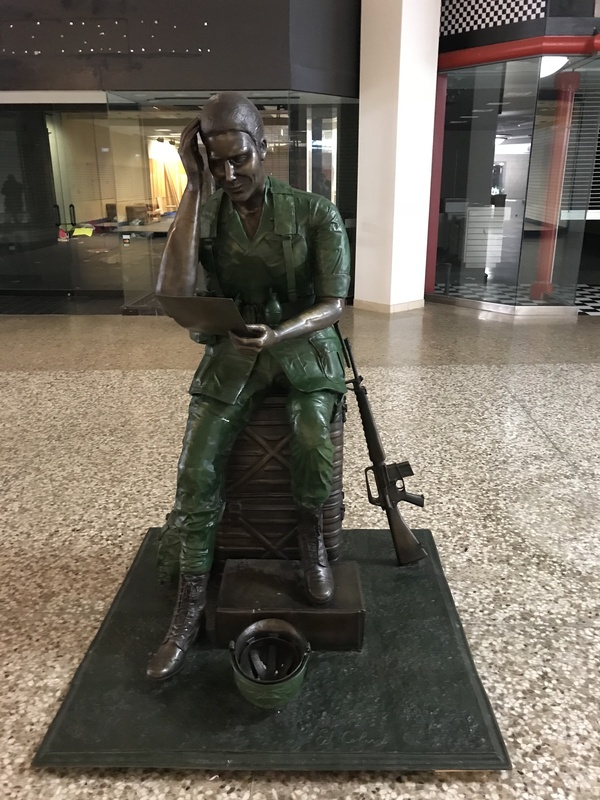 On my way out, I passed by a unique statue of a soldier reading a letter sent from his family. Valley View used to have a World War II uniform and artifact museum in one of the empty stores, but even that is now long gone. This statue didn’t use to be in the same spot, though. 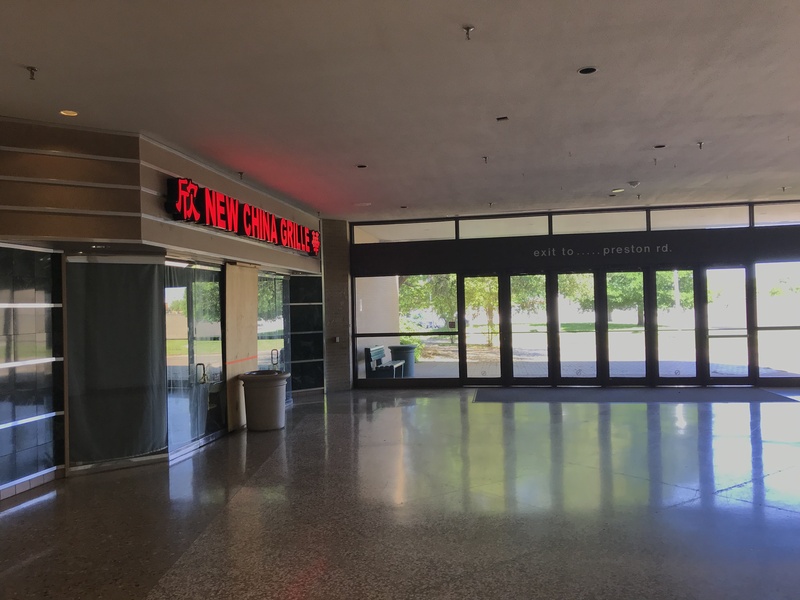 When the second floor was open, it was located in the Dillard’s wing, by the art galleries. One nice display of public art in the midst of the depressing background. 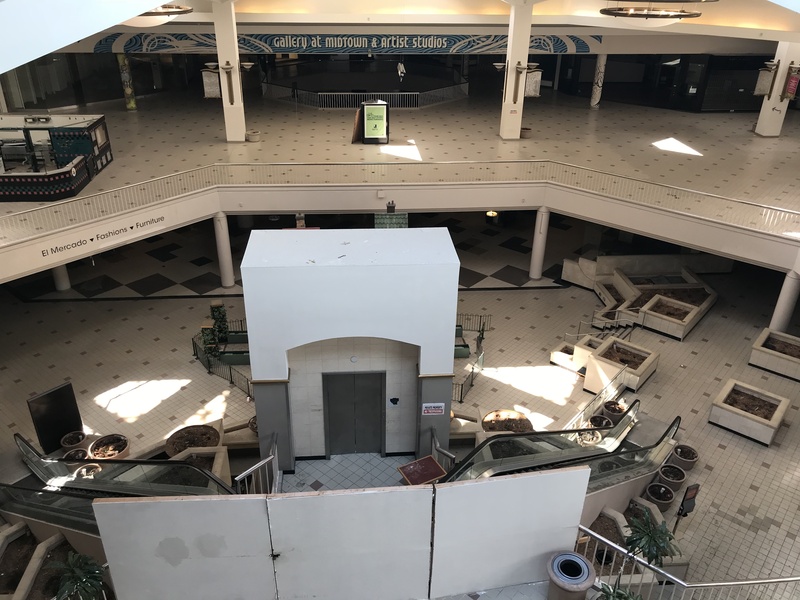 With both the developer and the city wanting this mall to come down as soon as possible, time is limited for Valley View Mall. This place held many memories for me – the place where I took driving lessons, location of my first high school part-time job, countless shopping trips with family as a kid, among many others. The same could be said for many other people, and it is a sore reminder of how the landscape of retail and malls in general are changing.